The honey bee is one of the most important pollinators known to man and is therefore essential if we are to maintain the huge diversity of wild flowers, plants and shrubs currently found within the AONB. Lancaster Beekeepers is a friendly and growing group of hobbyist beekeepers who meet regularly throughout the year to share experiences and develop their beekeeping skills. 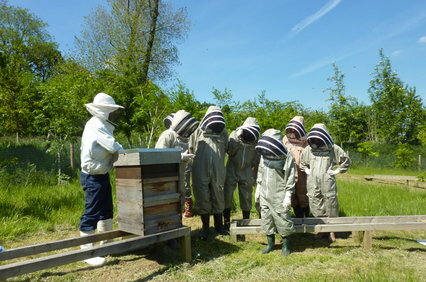 From their apiary in Yealand, they breed and supply stocks of bees, free from disease and well suited to local conditions, as well as offering a range of training courses, talks and workshops. The Club is now the North West’s leading organisation in the development of alternative approaches to beekeeping which focus firmly on honey bees and the environment rather than honey production. The Group welcomes both people new to beekeeping as well as more experienced beekeepers.